The government took a step towards the termination of the tax police. The Cabinet of Ministers at a meeting on Wednesday, March 22, approved a bill on the Financial Investigation Service (FIS), which should replace the tax police. 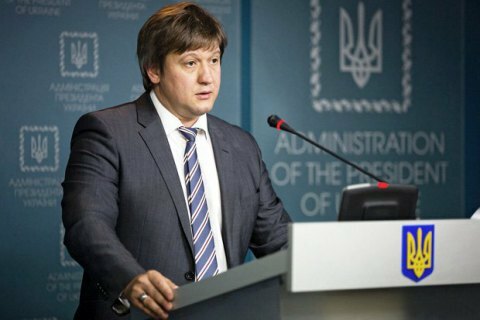 Finance Minister Oleksandr Danilyuk noted as he introduced the bill that the tax police is absolutely not up to the task. In 2016, it opened about 9,000 proceedings, of which 25% have been closed for lack of corpus delicti, and only 9% made their way to court. The results generated by the tax police was less than the state spent on its budgeting last year, the minister stressed. The new service will be smaller in size, employing about 3500 people. The head of the FIS will be hired through a job competition. The basic jurisdiction of the FIS will cover crimes provided by twenty-one articles of the Criminal Code, including those related to the financing of political parties, economic activities, the turnover of excisable goods, the issue and turnover of securities. In addition, the FIS jurisdiction will embrace abuse of power, unless the crime falls under the jurisdiction of the National Anti-Corruption Bureau or the State Bureau of Investigation. In last December, the parliament made a number of amendments to the Tax Code. In one of them the deputies unintentionally liquidated the tax police since January 1, 2017. The Ministry of Finance insists that it is necessary to take advantage of this situation and pass a law on financial police. Meanwhile, Verkhovna Rada's tax committee proposed an amendment to reinstall the tax police. On February 23, the parliament rejected the committee's move.